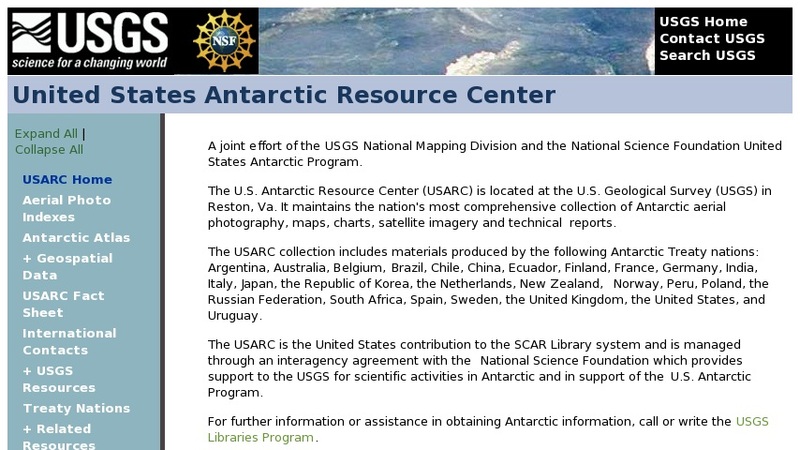 US Antarctic Research Center maintains the Nation's most comprehensive collection of Antarctic maps, charts, atlases, satellite images, photographs, slides, video produced by the United States and other member nations of the Scientific Committee on Antarctic Research. Materials can be ordered. Includes links to National Science Foundation, US Geological Survey, and other polar-related websites.